Hi dear readers and loyal subbies. Last Saturday I was welcomed by a little surprise in my mailbox (a.k.a.the filing trays in my flat ) I was so curious about Makeup Revolution, so I decided to purchase two items. Blush and Bronzer are one of my favorite make up products, so therefor I decided to purchase two pallets! The Hot Spice blush palette and the All about Bronze palette. 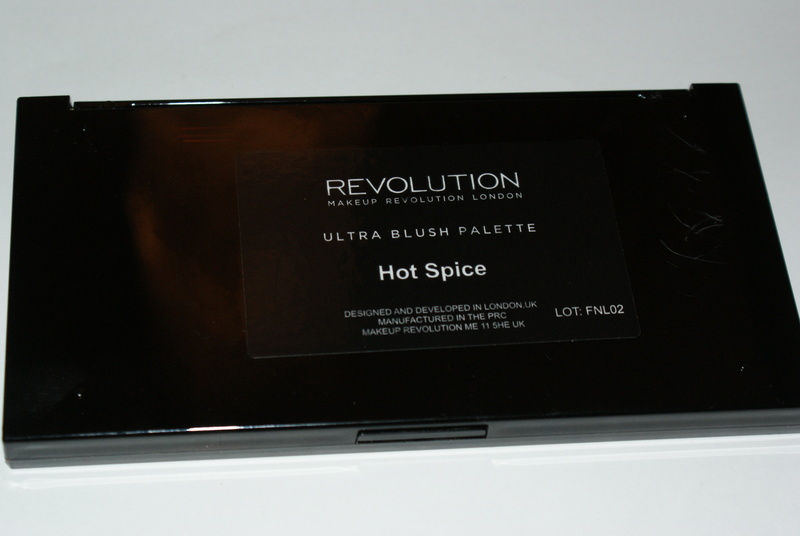 But today my complete focus is on the Hot Spice blush palette. This palette retails for € 7.99. The product comes in a very nice sleek cardboard box. It was however, a great pain to remove the actual product. from the bos. The product casing is plastic and very compact slim. It does leave finger prints on the casing easily. Once you open the palette you are welcomed , by six blushes and a very nice mirror. The blushes range from cool corals and pinks, to warm corals and pinks. On both rows on the right hand side, there is a highlighter blush to be found. My first impressions of the blusher are that they go on sort of chalky and don’t feel silky / buttery. Also I find the pigmentation isn’t the best. I do find that the first two blushes from the top and bottom row, have the best colour pay off. If I had to choose I prefer the bottom row because of the colour pay off. Looking at these comments, I am quite curious how the bronzer palette will apply. My thoughts on this palette are semi divided. Its not super bad but its not wowing me yet. 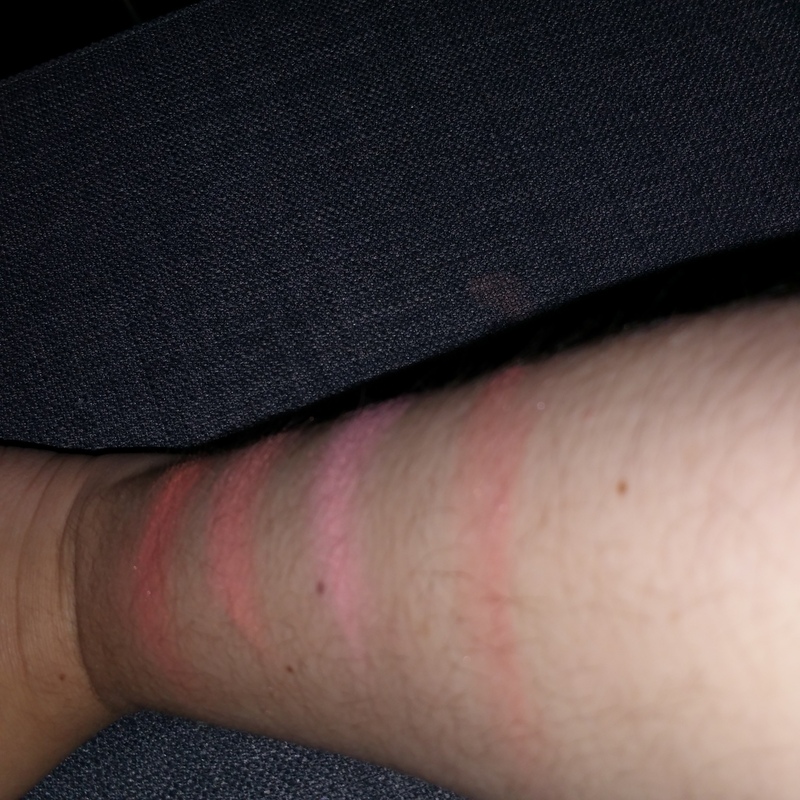 I do have to say, I have not seen these blushes on my face y So I need to try it some more before, I make up my mind about this product. Also I am still very intrigued by their Eye palettes. So I am not giving up on this brand yet. So leaving you with these swatches I am curious what your thoughts are on this palette? Please leave recommendations of products to try from Make Up Revolutions. Swatches bottom row. Swatches from left to right. If you would like to see more of these types of blogs please leave a comment. For my last post click here and if you want to read more posts like these, please subscribe to Thumbelinaslifestyle.com or follow me on BlogLovin. I must admit, I was a bit harsh on Revolution when I first bought them, convinced myself that they must be poor quality at that price. However I have been pleasantly surprised! Thank you for your comment. And thanks for your follow. I am not giving up on Make-up revolution yet☺. Price wise its a good deal😄. Thank you for your comment and your invite. I will pop by your blog. Hey Kim, Thank you for the tip and huge compliment 😊. It’s True you can build it up so you do have more control. Which prevents you from looking like a clown. I will keep my eye on the Chocolate eye palette☺.